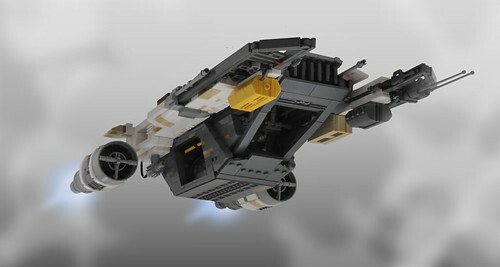 Master Star Wars vehicle builder Inthert took a U-Wing and broke it. ...Not really. Creating partially damaged iconic Star Wars ships and vehicles make them look like something new all together is something I really like to see often. 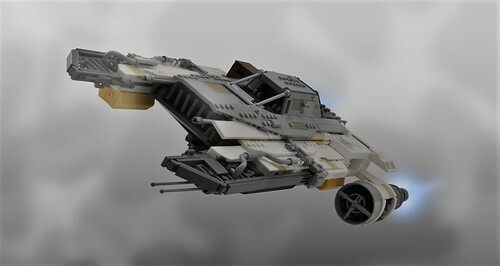 This more rustic, cargo-carrying U-Wing design fits in this category perfectly, and is unique on its own with its exposed parts. Still recognizable as a U-Wing, but also looking like something new on its own, this ship is a fine addition to any modified Star Wars vehicles collection.